Union territory has been the long-standing demand of Ladakh since 1949, from then the people of Ladakh has been reiterating our demand for the union territory. The demand has been legitimate on the various grounds like on basis of Geographical, Cultural and Linguistic. The three strips in the flag of Jammu and Kashmir represents the three Geographical regions Jammu, Ladakh and Kashmir but no due importance or power has been delegated to the regions equally. The state govt. has discriminated with the Ladakh in terms of Government Recruitment, Education and Funds allocation since its merger with the Indian state through Agreement of accession. The power to increase or decrease state boundary and the creation of new states and union territory lie with the central government by the power of parliament under the Constitution of India. Till now, 29 States and 7 Union Territories are there. There is Union territory with Legislature E.g. Delhi and Union territory without Legislature E.g. Daman and Diu. The demand of Ladakh for Union Territory is UT with the legislature. The state of Jammu and Kashmir has been given special status under Article – 370 of the constitution of India because of this the UT for Ladakh has constitutional as well as Legal issues which need to be addressed. The special status Under Article -370 the Central government has only power to make laws with respect to Defence, International Affairs, and some others, rest lies with the Legislature of state of Jammu and Kashmir most policy of the Central Government cannot be applied directly but with the due approval of the Legislature of state . The Article-370 is the bone of contention for granting UT status for Ladakh. For its removal, the Legislative assembly of the state of Jammu and Kashmir has to pass a resolution stating that they do not want to be bound under Article-370 and wants to be fully integrated with the rest of India with respect to all the laws. By removal of Article 370 all the laws that are applied to other states will also apply to the state of Jammu and Kashmir, the example of this is the 73rd and 74th Amendment of the constitution will be applied making the Panchayati Raj Institution stronger which is not so as of now because of Article 370 . The demand for UT by Ladakh has to be demanded by all the section of society together as one. The Ladakh region which has two Districts Kargil and Leh has more similarities than differences, we as Ladakhspa shares common Culture, Language etc. In the name of religion the Kashmir centric government has prevented us from uniting for the UT and divided us from uniting under one flag UT for Ladakh and they has played a dividing force since. The UT issue will help us in maintaining our Identity of our being Ladakhpas rather than an alienated people in near future. The example of this is the identity crisis being suffered by the Baltistan people in POK, for preserving their own culture and identity learning the Bodhi Language and same is being taught to school children and upcoming generation of their region. We as Ladakhpas [Leh and Kargil] need to focus more on the similarities of our two districts than the differences that are being created by the Kashmir Centric government. The Constant disturbance in the Kashmir Region has been harming the Ladakh region from various aspects Economically, Educationally and Service wise. The Kashmir issue is restricted only in the valley and is not concerned with the Ladakh region of Jammu and Kashmir. The Kashmir centric government has not benefitted the people of Ladakh region. The various packages that the Central government release from time to time have not been distributed among region wise Ladakh, Kashmir and Jammu but been utilized all on the Kashmir who shows no respect for the Indian State, its Constitution and its Flag. The recent stone pelting and hosting of other countries flag are example of this. The Ladakh region has to bear with the Kashmir issue, and loss suffered by the Ladakh region has not been compensated and various grievances have not been addressed by the Kashmir centric government. Whatever development that has taken place in Ladakh has not been given by the Kashmir centric government voluntarily but through the constant struggle faced by its own people and leaders for the development of Ladakh. Exploitation of the Ladakhpa and division on the basis of religion has been the characteristic of the successive government in Kashmir. Communal harmony is and has been maintained between the brothers and sisters of Ladakh for any economy to prosper the harmony between its people is the cornerstone, at this point of time our economy is boom driven mainly by the tourism industry. Communal harmony and support is impertinent for the growth of the industry. For releasing the full potential of Ladakh region, granting of UT status can help the central government through the clear claim over the Demchok and POK region which have been source of constant conflict with regard to border between China and Pakistan. The border areas in Ladakh can be maintained with more focus then right now as the Kashmiri issue gets entangled with other issues relating to border. The conflict of border areas with both China and Pakistan can be maintained better. Economically the full potential of Ladakh region can be achieved through the better facilities with regard to tourism and other industries. Ladakh can be asset UT for the Indian state if the full potential of the region is exploited. All the mountain areas with similar culture can be grouped together and more cohesion can be developed with the rest of India. The Kashmir issue can be isolated and solved with more focus after granting UT to Ladakh .The Internationalization of the Kashmir issue has been detrimental to region of Ladakh specifically and Jammu & Kashmir in general, as the Kashmir region has been given more focus, funds and assistance in various forms, example of this is the delegation being send from time to time to solve the Kashmir issue while neglecting our demand for UT. Ladakh has been a faithful region towards the Indian state but no due has been given to Ladakh. The recent call by the people of Ladakh for the UT status for Ladakh is because of the constant neglect being faced by the Kashmir centric government. The UT demand has few misconceptions among the people of Ladakh which is mainly due to the Kashmir centric political parties who wants to divide the people of Ladakh and is created mainly for the political gains. These misconceptions have mainly created between the people of two districts of Ladakh, to dealLeh and Kargil aiming to divide the people for uniting under one flag for UT. The two districts of Ladakh cannot be divided on the basis of religion and misconceptions relating to UT, the same needs to be cleared through a committee formed by all the communities of Ladakh and the differences needs to be cleared between the communities and a common ground needs to be found on which our demand for UT will be based. The same needs to be informed to the member of our society through various mediums then only strength will be gathered for our demand. If we want to achieve our demand, we all need to be one and see the similarities between the people of Ladakh rather than the differences. 1. Legislature of Ladakh will be formed which will be able to make laws for ourselto dealwith the various issues that arise from time to time and make laws for them. 2. Power to make recruitments to the various posts which will give more employment than the present status. 3. More funds will be allocated directly by the central government which can be used for various developmental projects. 4. Various companies can be formed for the Development of various small scale industries. 5. Agreement between Ladakh and foreign countries can be made which will help in the development of Ladakh. 6. More weightage will be given to our voice in the Parliament. 7. All the policies of the central government can be applied directly which is not the case as of now because of Article-370 relating to the state. 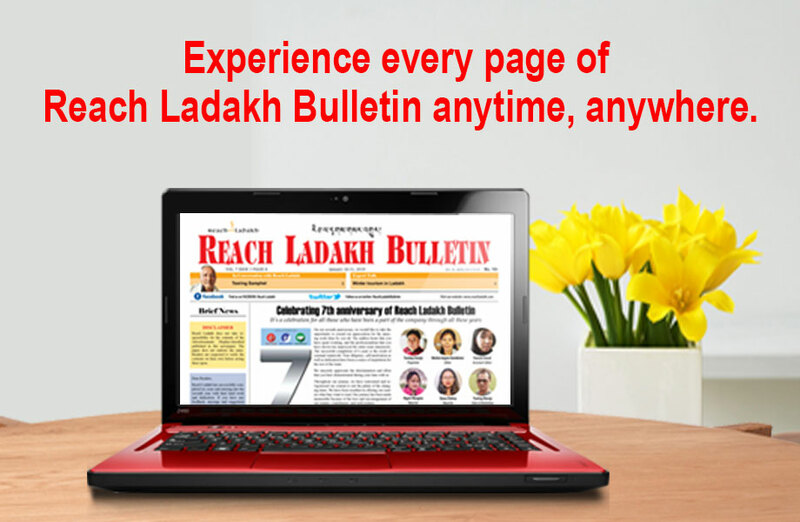 Benefits of UT will be there for every community of Ladakh irrespective of religion or region. We need long term vision for our society than the short term political gains. Generation of our community members have been fighting for the UT status and their sacrifice should not go in vain. Our generation should add value to fight for the UT status then too point loopholes in demand and create misconceptions relating to the UT. Discussion should be held on vast scale on all the topic of contentions.